Drumroll, please! We are bursting with excitement over our first wave of Sled Island 2016 artists. We're proud to share that in conjunction with today’s announcement, legendary lo-fi indie rock band Guided By Voices have announced a stop at the festival. The band (consisting of Robert Pollard with Bobby Bare Jr., Kevin March, Nick Mitchell and Mark Shue) will headline Sled Island’s main outdoor show at Olympic Plaza on June 25, 2016 in what is their only date announced thus far, and their first-ever appearance in Calgary. Guided By Voices have been a bucket list act for the festival since day one, and we couldn't be more thrilled to be the first to confirm a show for the band. They’ll be joined by indie rock icons Built To Spill (who return to Sled Island following a memorable show in 2010), krautrock-inspired experimenters SUUNS and additional artists to be announced. 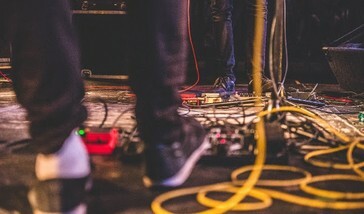 Also appearing at the festival is boundary-pushing black metal band Deafheaven, 1960s garage-rock pioneers The Sonics, enchanting indie-folk songwriter Angel Olsen, left-field pop experimentalist Julia Holter, industrial dance noisemakers HEALTH (returning to the festival after an appearance in 2009), genre-defying instrumentalists Tortoise, venomous post-punk band Protomartyr and unpredictable psych adventurers (and project of Throbbing Gristle frontperson Genesis Breyer P-Orridge) Psychic TV. Even more bands joining this one-of-a-kind lineup include jazz trailblazers Dawn Of Midi, gunk punk legends New Bomb Turks, hooky garage-punk rockers Radioactivity and Montreal electro-rock favourites Duchess Says. Recently, Sled Island announced provocative musician/producer/filmmaker/performance artist Peaches as 2016 guest curator. 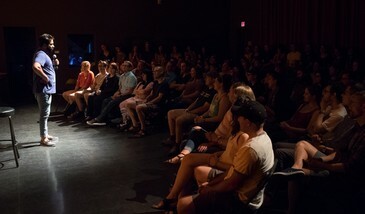 Each year, Sled Island’s guest curator puts their stamp on the festival through special programming choices and with their presence at the event. Peaches’ curatorial selections will be announced in the coming months, along with additional festival acts. The artists announced today represent just a sample of the 250+ bands, comedy, film and art that will descend on more than 35 Calgary venues from June 22 - 26, 2016. Stay tuned for our next announcement in March! Sled Island passes, which grant access to all Sled Island shows (subject to capacity) are currently available at SledIsland.com, Sloth Records (736B 17th Ave. SW) and Lukes Drug Mart (112 4th St. NE). Tickets to select Sled Island shows go on sale Friday, February 12 at 10am MST at SledIsland.com, Sloth Records (736B 17th Ave. SW) and Lukes Drug Mart (112 4th St. NE). Sled Island seeks a Technical Director to lead the planning, coordination and execution of all technical aspects of the 2016 festival. The position runs March 1 - July 15, 2016 with flexible hours, but the successful candidate should expect to work full-time in May and June. For details and how to apply, please download the complete posting. Applications close on February 16, 2016. Everything old is new again! We're getting a group of past Sled Island comedy acts together to perform with an old fashioned twist. That's right—it's an evening of your favourite local comedians paying tribute to their favourite super-famous stars! Appearing this one night only: Derek Adams, with his tribute to Mike Birbiglia; Sarah Adams, with her tribute to Louis CK; Amy Bugg, with her tribute to Chris Rock; Alan Cho, with his tribute to Margaret Cho; Jeff D'Silva, with his tribute to Russell Peters; Brittany Lyseng, with her tribute to John Mulaney; Don Wood, with his tribute to Patton Oswalt. Hosted by Evan Wilson, with his tribute to Mr. Bean. Don't miss the show of the quarter!